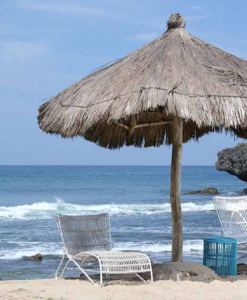 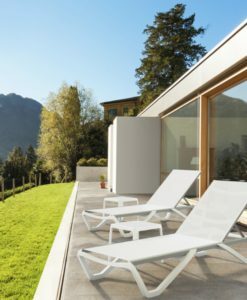 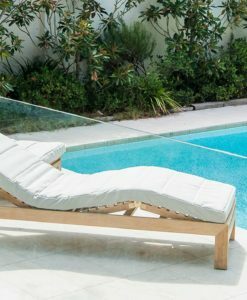 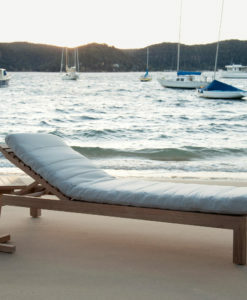 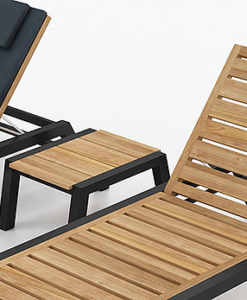 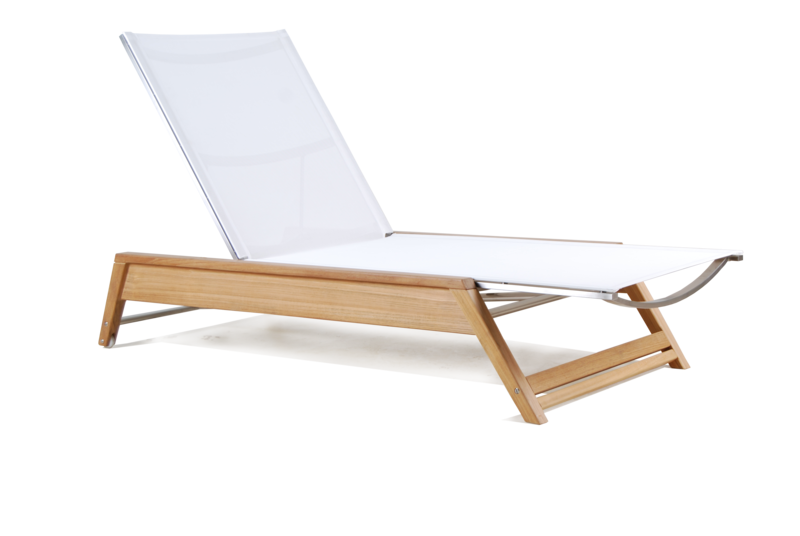 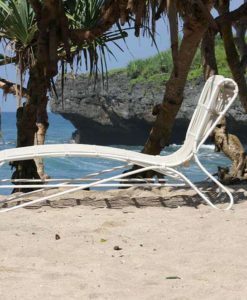 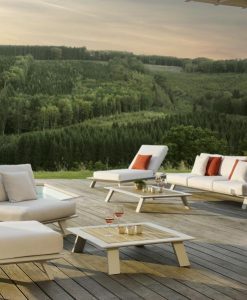 Eli chaise lounger is perfect for any outdoor or indoor use with teak and white batyline, it would allow you to enjoy with 4 options for reclining. 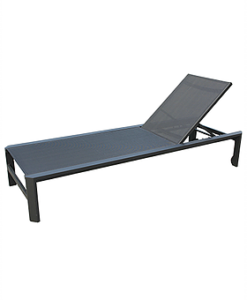 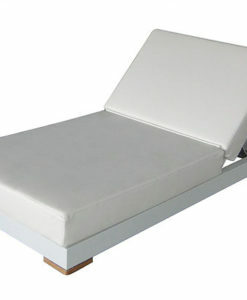 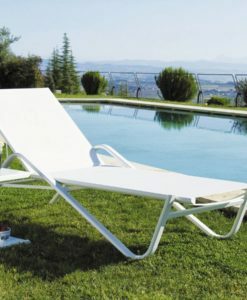 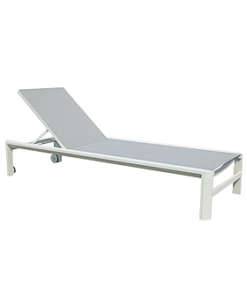 These functional chaise can be use in a terrace hotel or spa available with wheels for easy movement. 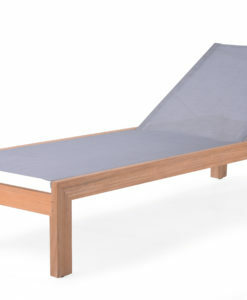 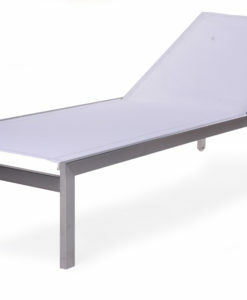 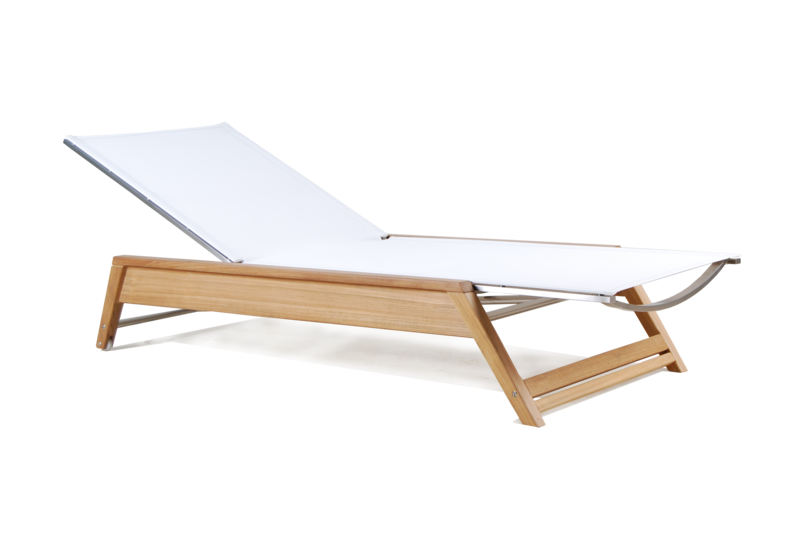 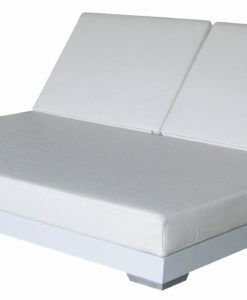 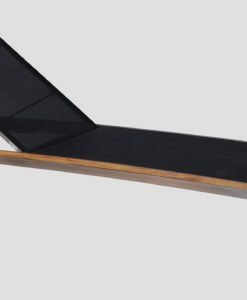 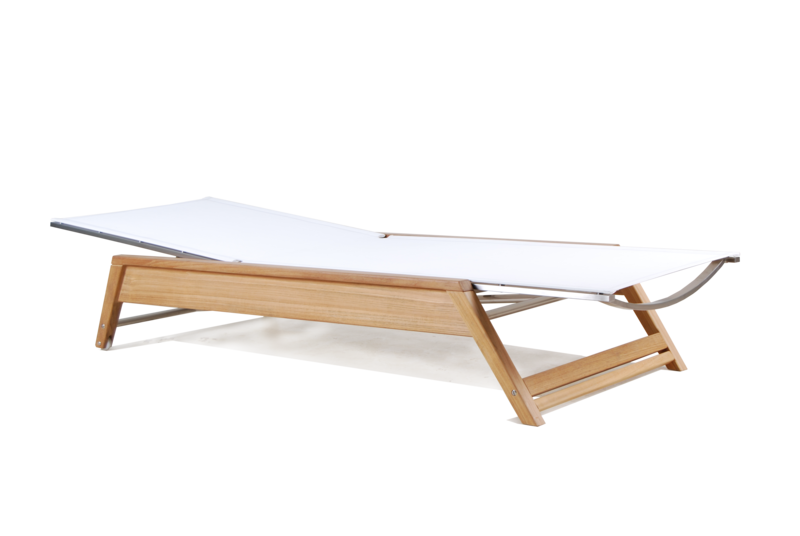 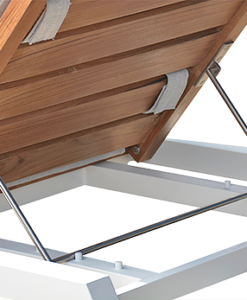 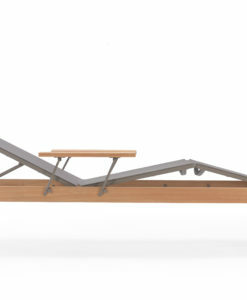 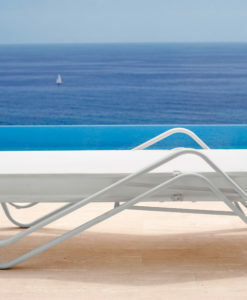 The frame also make this chaise incredibly lightweight perfect for contract. 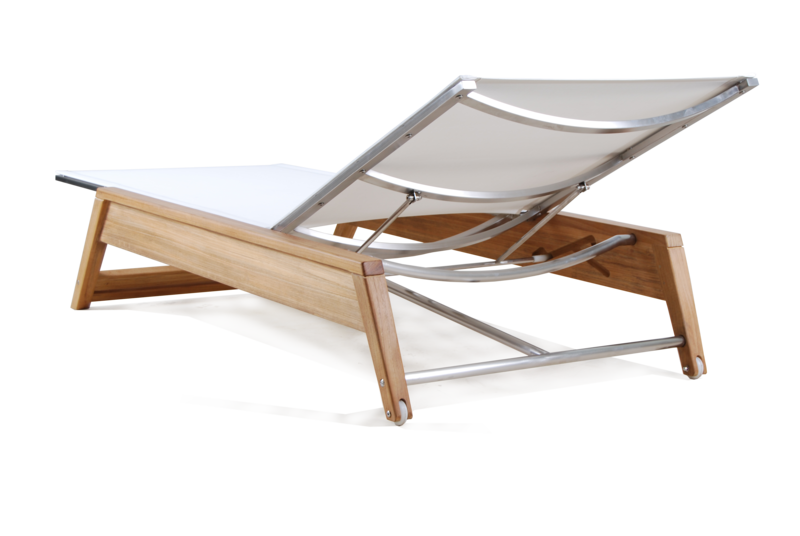 A-grade teak and stainless steel.